Hey pals! I wanted to stop by and let you all know I am doing fine 11 hours after my end. ablation (actually had 3 things done). The only real drawback is that I was coughing through the entire procedure which made it last close to an hour (I didn’t know this, but I did see a few flashes of movement). I was very dry-hadn’t had a drink for 10 hours, they laid my head flat and put an oxygen mask on me. 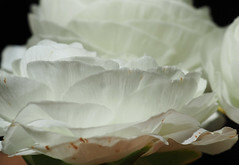 I had a coughing attack the night before, so it was irritated anyway. I was really hyper after they told me this and was glad when I got discharged. I am not having much discomfort at all where the procedure took place. What bothered me the most-get this-dry mouth and an irritated throat. And my knees too because I probably have arthritis in them. I tried to get comfy on the sofa, the chair and finally I used lots of Icy Hot on my knees and got in my jammies around 5 and slept for close to an hour-made the world of difference! I had only had a chicken sandwich all day. The first time I tried to eat it around 1:30, I could barely swallow a few bites. Bri watched over me well, maybe too well. He was worried about me. I asked him to go outside and start to pick up some of the fallen branches-we have tons-and he obliged. It was such a gorgeous day too. I did go out then and took a solo walk around the yard, but my throat was still funny. I thank goodness for my neti pot as it took away that ‘threads in the throat’ feeling I had (which is always on the right side, my favored side to sleep on too). I’ve only had to take one pain pill-knock wood-an Advil. I have a prescription for Percocet, but pain pills generally make me feel sick. Crossing fingers that in the coming days I only need the Advil or Tylenol. We had frozen pizzas and coconut shrimp that Bri mostly got ready, I can eat again! 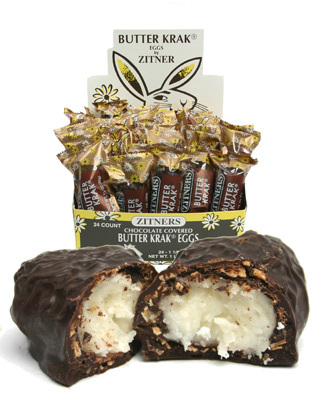 And let me tell you about the treat of the day….made right here in Philly-Zitner’s Coconut Krac eggs, my favorite Easter treat. You can order from that link! Bri finally found me some! He’d bring home another kind and I said, ‘not the krackle’. Also hope to get outside even longer in the coming days! I’m SO relieved to hear that you’re home and feeling fine! !